No self-respecting billionaire wants to sit down to dinner next to somebody wearing exactly the same watch. 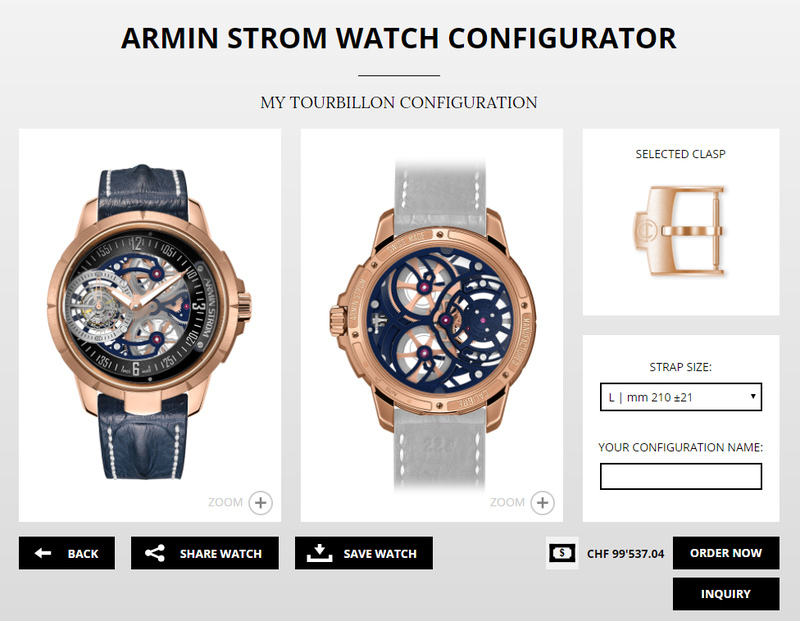 Armin Strom is all-but eradicating this risk by letting customers design their own watches using an online app where people can choose the base model, movement, case material, the style and colour of the dial and hands, the clasp, and details right down to the colour of the stitching on the chosen strap. 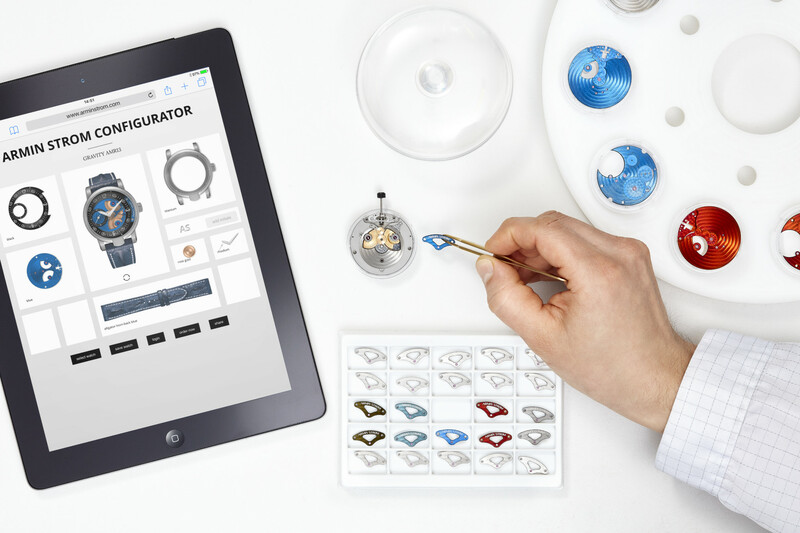 Armin Strom is one of the few watch manufactures able to create a full watch movement under one roof, so the personalised watches can be made to order quickly. Clients start by choosing a movement and its complications from any of the watchmaker’s catalogue before building up the complete watch. The price of the finished watch even changes as different options are chosen. A quick experiment customising an Armin Strom tourbillon for WatchPro ended up with a watch priced at CHF 99,537, so we can’t be accused of having inexpensive taste. 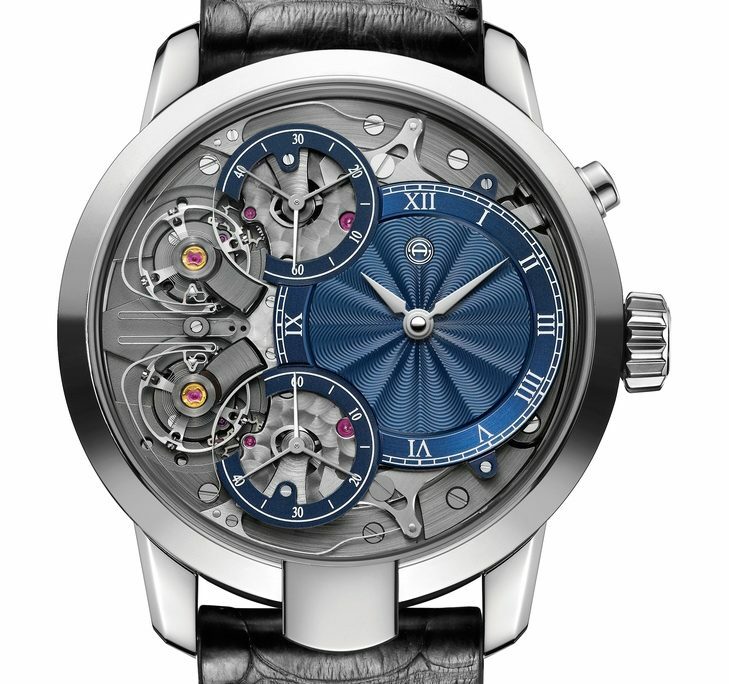 WatchPro created this Armin Strom Tourbillon. 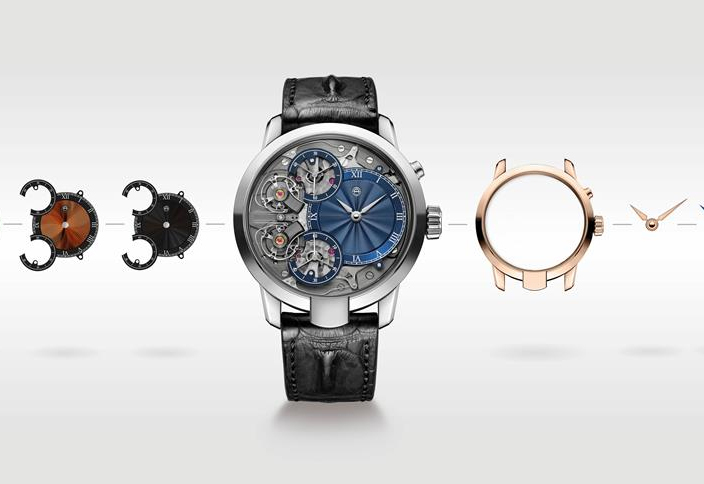 The finished timepiece can be picked up at any authorised Armin Strom retailer or even at the Armin Strom factory in Switzerland where a tour of the factory is included in the price. The watchmaker’s only UK retailer is G. Collins & Sons in Royal Tunbridge Wells. 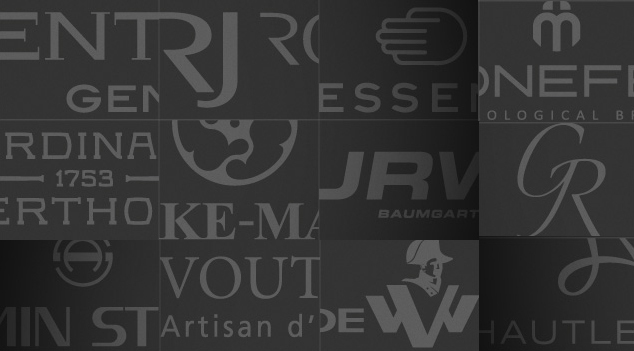 “I’m very happy to be able to integrate our retail partners in such a groundbreaking project as this. 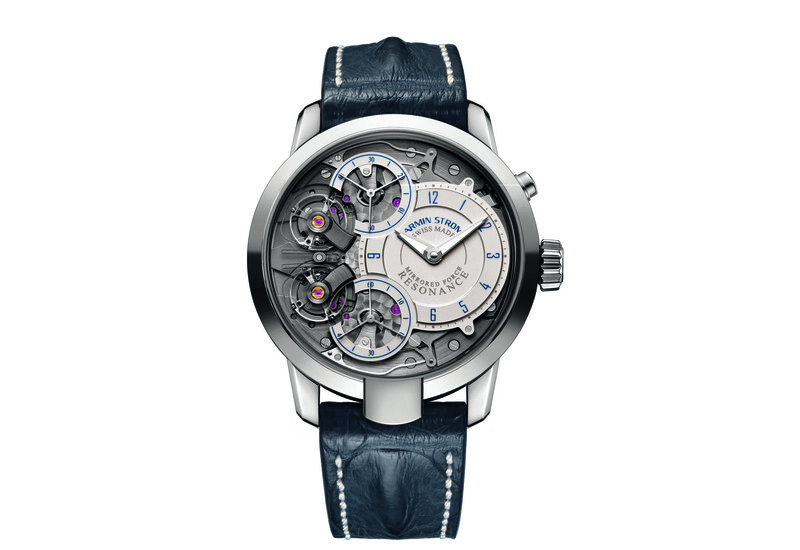 It emphasises the fact that we are all partners,” says Serge Michel, owner of Armin Strom.